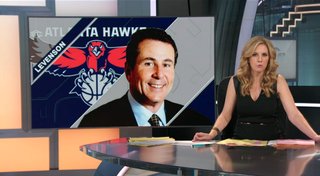 Bruce Levenson announced plans Sunday to sell controlling ownership in Atlanta Hawks. Updated Sunday, Sept. 7, 4:18 p.m. EDT: The Atlanta Journal-Constitution published the full text of the email that Bruce Levenson sent to Hawks General Manager Danny Ferry in August 2012. Bruce Levenson, who has a controlling ownership stake in the Atlanta Hawks, announced that he would sell his share after admitting he wrote a racially insensitive email two years ago, the Chicago Tribune said Sunday. The announcement came as the NBA was in the midst of an investigation that began when Levenson came forward in July and notified officials about the August 2012 email, which stereotyped fans. “In trying to address those issues, I wrote an e-mail two years ago that was inappropriate and offensive,” Levenson said in a statement Sunday, according to the Tribune. “I trivialized our fans by making cliched assumptions about their interests (i.e. hip hop vs. country, white vs. black cheerleaders, etc.) and by stereotyping their perceptions of one another (i.e. that white fans might be afraid of our black fans). By focusing on race, I also sent the unintentional and hurtful message that our white fans are more valuable than our black fans." The news comes in the wake of a controversy involving ex-Los Angeles Clippers owner Donald Sterling. After recordings surfaced of Sterling using racially charged language, the NBA banned him for life and forced him to sell the team over the summer. Read more at the Atlanta Journal-Constitution and the Chicago Tribune.